The SPCK520 Compact Keypad is slim, stylish and feature packed. With touch key technology, the 4 soft keys and navigation keys allow easy operation with a minimum number of steps. Status information and ‘next step’ prompts are clearly displayed on the large LCD. The integrated speaker enhances the user experience with audio annunciation. Provides all the functionality of the SPCK520 with Support for EM and Mifare card technologies are provided by integrated readers allowing for quick user authentication. 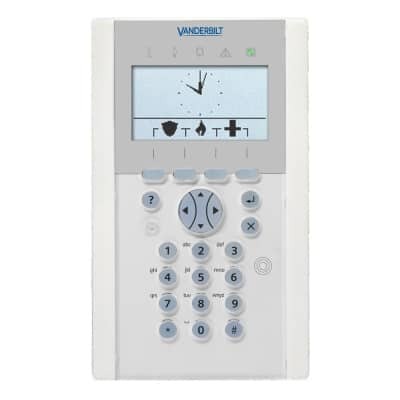 LCD keypad with graphical display, card reader and audio Provides all the functionality of the SPCK620 with a integrated card reader enables quick setting / unsetting of areas by use of a proximity card only or in combination with a valid user PIN. 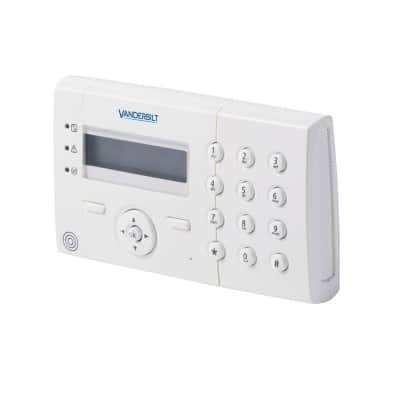 The built in speaker and sensitive microphone support audio features such as alarm verification or voice annunciation. The functionality can be enhanced with the SPCE110 key switch expander or the SPCE120 indication expander. 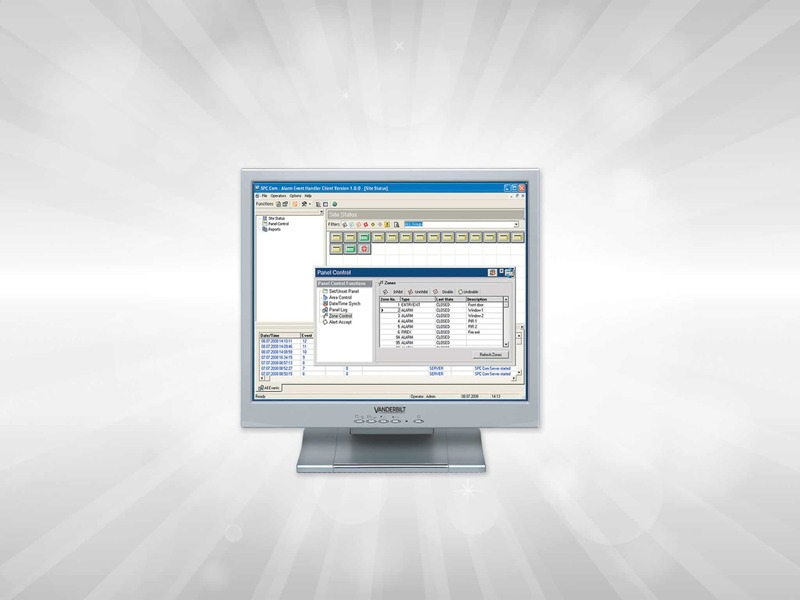 Apply your company logo to the Vanderbilt SPC intrusion system. The logos can be configured in MS paint and uploaded using the web browser.